The novel is very engrossing, often amusing, sometimes startlingly horrible in its depiction of human misery. The tremendous energy of the docklands comes across in all its force. It’s interesting to note too how small the city itself was then despite its magnificent buildings. Redburn recounts strolling up London Road to find himself soon out among fields where he encounters ‘three adorable charmers’. Ah! what are our creeds, and how do we hope to be saved? Tell me, oh Bible, that story of Lazarus again, that I may find comfort in my heart for the poor and forlorn. Surrounded as we are by the wants and woes of our fellowmen, and yet given to follow our own pleasures, regardless of their pains, are we not like people sitting up with a corpse, and making merry in the house of the dead? Now, sailors form one of these wheels: they go and come round the globe; they are the true importers, and exporters of spices and silks; of fruits and wines and marbles; they carry missionaries, embassadors, opera-singers, armies, merchants, tourists, and scholars to their destination: they are a bridge of boats across the Atlantic; they are the primum mobile of all commerce; and, in short, were they to emigrate in a body to man the navies of the moon, almost every thing would stop here on earth except its revolution on its axis, and the orators in the American Congress. And yet, what are sailors? What in your heart do you think of that fellow staggering along the dock? Do you not give him a wide berth, shun him, and account him but little above the brutes that perish? Will you throw open your parlors to him; invite him to dinner? or give him a season ticket to your pew in church?—No. You will do no such thing; but at a distance, you will perhaps subscribe a dollar or two for the building of a hospital, to accommodate sailors already broken down; or for the distribution of excellent books among tars who can not read. And the very mode and manner in which such charities are made, bespeak, more than words, the low estimation in which sailors are held. It is useless to gainsay it; they are deemed almost the refuse and offscourings of the earth; and the romantic view of them is principally had through romances. I just finished reading REDBURN for the 2nd time (I’d read it about 9 years ago). The chapter “What Redburn Saw in Launcelott’s-Hey” is sad and incredibly haunting. 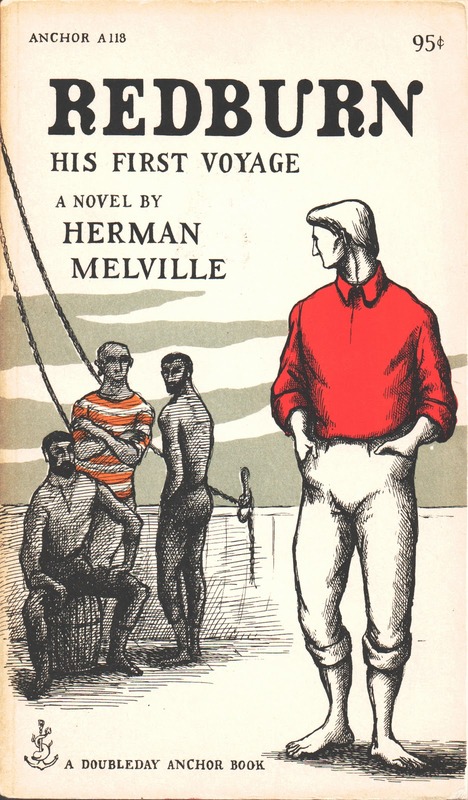 One wonders how closely it adhere’s to Melville’s own experience. You say the “alley” is now demolished. Where did it once exist? That is, what street or collection of buildings has today taken its place? Very nice site, by the way. I think it ran from Brook Street to Chapel Street where the Sun Alliance Building is now.